Jackfruit has been declared as the official fruit of Kerala with the aim of branding the state’s produce and taking it across the nation and abroad. 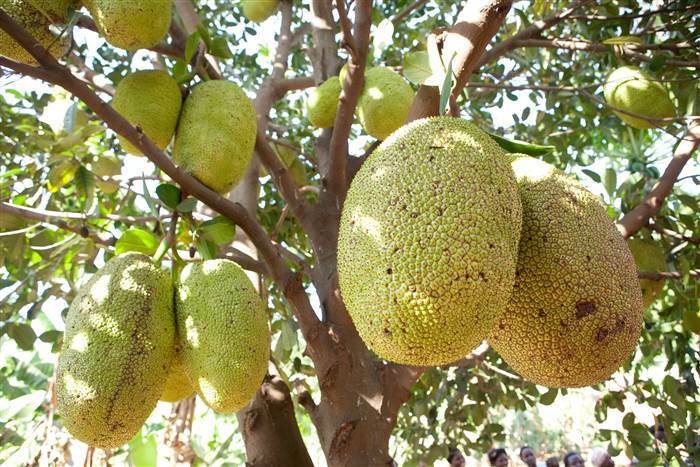 The south Indian state of Kerala now has Jackfruit as its official fruit. The state government recently declared so with the official announcement made by the agriculture minister, V S Sunil Kumar, in the state assembly. Kerala is a mass producer of the fruit but 30 pc of it gets wasted annually. With the fruit now declared as official, the production is hoped to be consumed entirely. The aim is to promote ‘Kerala Jackfruit’ as a brand in markets across the country and abroad, showcasing its organic and nutritious qualities, the minister said. Besides filling the gaps in the sale, an increase in production and value-added products is also being anticipated. Kerala produces more than 300 million of jackfruit annually. A total revenue of INR 150 billion is expected through the sale of jackfruit and its allied products after this branding of the fruit, the minister said. The minister also said that the ‘Kerala Jackfruit’ is more organic and tasty as it is produced in a very natural way without using any chemical fertiliser or pesticide. Distribution of the fruit’s saplings is also in plans so as to have people grow them in their backyards. There will also be a research station at the agricultural office in the Wayanad district. Kerala already has Elephant as its state animal , great hornbill as the bird, and Kanikkonna as its official flower. The state had recently declared pearl spot, popularly known as Karimeen, as its official fish. Jackfruit is known to be a good source of vitamin C and anti-oxidants that help strengthen the immune system. It is also rich in Vitamin A, and thus healthy for skin and vision. It is also a good source of potassium, which helps maintain the electrolyte balance in the body. It is also good for regulating blood pressure thus reducing one’s risk of getting heart strokes. It is also very fibrous thus aids digestion and fights the carcinogenic chemicals in the colon. Minerals like manganese, iron, vitamin B6, niacin, folic acid, etc. are also present in the fruit, all of which are required by the human body. The seeds of the jackfruit are also nutritious and is a good source of protein.